Why Filter Water at Home? Compared to brand-name bottled waters, filtered water is an affordable option to stay healthy and hydrated throughout the day. Spring water and mineral water are both equally healthy options, yet they are much more expensive than filtered tap water. While some bottled water brands are sourced from pristine springs, other options may simply be purified tap water packed in a bottle. And why pay extra for something that you can just as easily get at home? The popularity of bottled water is owed in part to its supposedly better taste compared to tap water. The chemical disinfection process of municipal water, along with other substances found in tap water, may make it less appealing to your taste buds compared to bottled water. Filtered water, on the other hand, is just as tasty as bottled water, or even tastier, since it’s not stored for long periods before consumption. 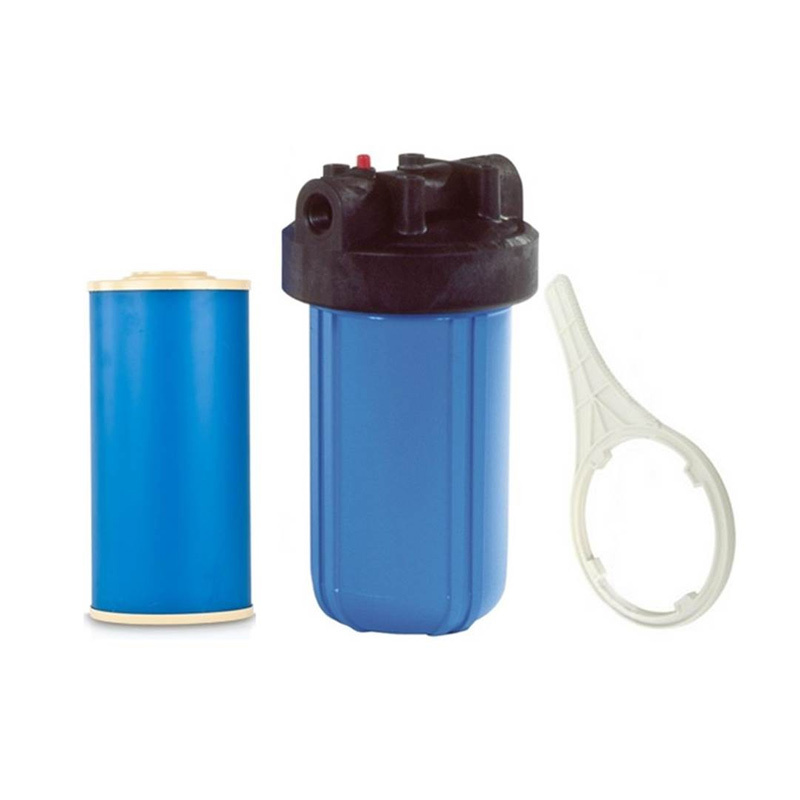 Water filters remove any strange tastes or odours caused by artificially or naturally occurring substances in water. Another reason why bottled water may be preferred over tap is safety. Many believe that bottled water is safer than tap, even though tap water is carefully tested and purified to make sure it’s suitable for all purposes — drinking, cooking, washing, etc. 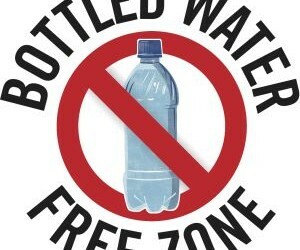 Even though bottled water may have the reputation of being the safer option of the two, improper storage conditions, bottling mishaps, or lack of testing may cause contamination issues. Filtered water, on the other hand, is the safest drinking option, and adds an extra layer of defense against any potential contamination issues that may occur while tap water is delivered to your home. If you have an under-sink water filter, you can turn on the tap and pour yourself a cup of healthy drinking water anytime, without having to worry about running out of bottled water in the middle of the night, or adding to the huge volumes of plastic waste produced by the bottled water industry. If you want to have filtered water for any and all household purposes (drinking, cooking, washing, cleaning, etc. ), you can install a whole house filtration system, and enjoy better-tasting food and healthier baths. Installing a water filter in your home will significantly reduce your bottled water consumption needs and save you money in the process. Drinking filtered water instead of bottled water reduces plastic waste. How To Switch From Bottled Water to Filtered Tap Water? Switching from bottled water to filtered water should start by identifying your filtered water needs. First, you need to ask yourself whether you need filtered water for drinking and cooking only, or for other household activities as well (e.g. bathing, washing, etc.). If your filtered water needs are limited to drinking and cooking, an undersink or countertop water filter installed in your kitchen is enough to meet your filtered water demands. If, however, you want to have access to filtered water throughout your home, you will need to install a whole house water filter. Next, you need to analyse whether your tap water has any contamination issues or taste and odour issues. Strange tastes and odours in tap water can be removed with simple activated carbon filters that also remove chlorine, volatile organic compounds, and other organic materials. Other contamination issues (presence of fluoride, toxins, bacteria, hormones, heavy metals, etc.) 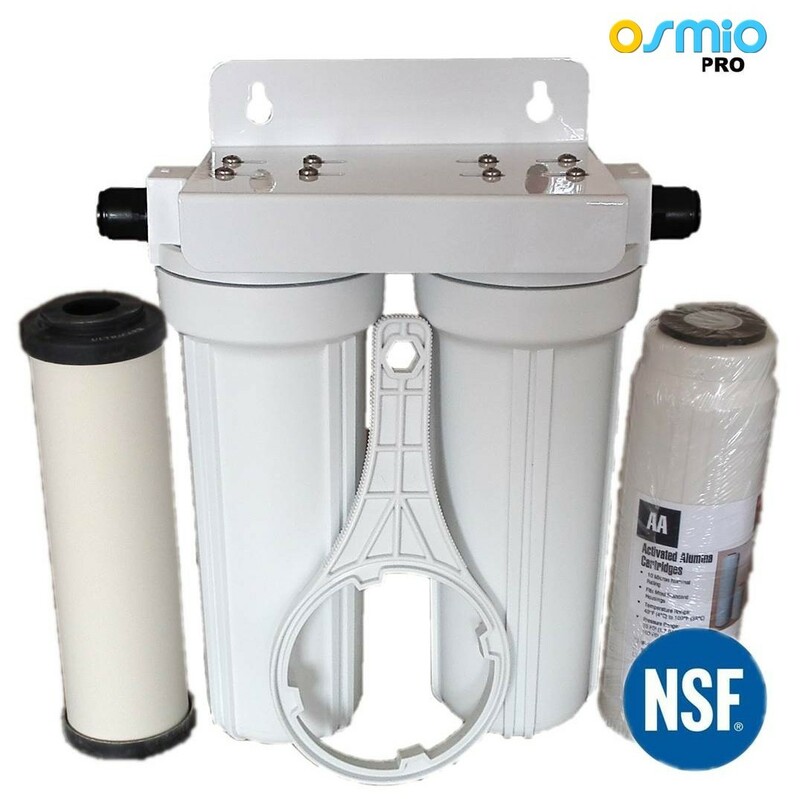 can be dealt with by installing a multi-stage water filter system that combines various filter cartridges (sediment filters, carbon filters, reverse osmosis membranes, alkaline filters, etc.) for highly polished tap water. Once you’ve chosen and installed your water filter system, you can start enjoying delicious and healthy filtered water straight from your kitchen tap. 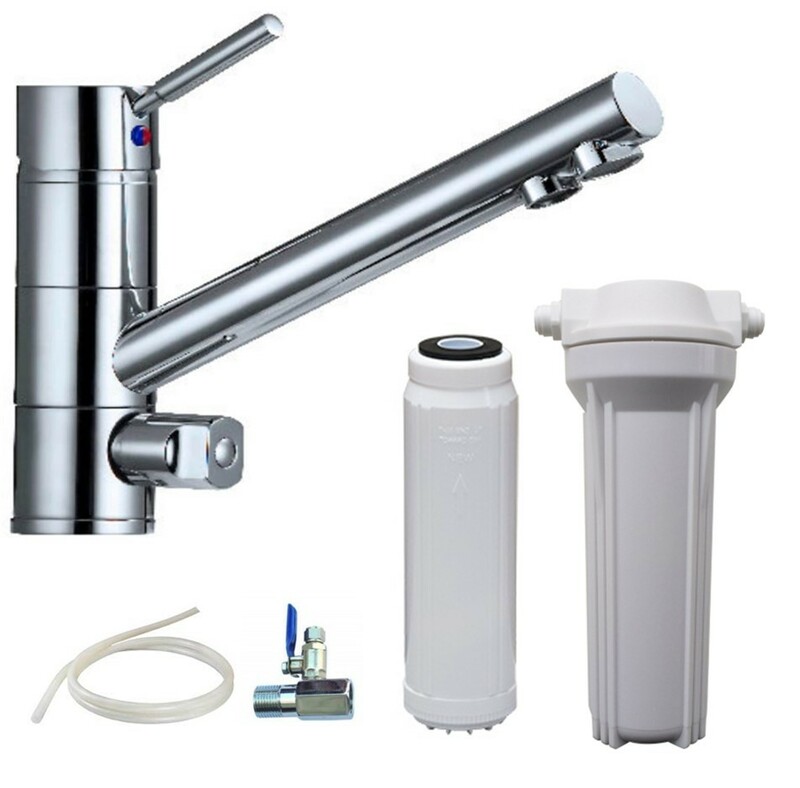 Modern water filter systems are not only easy to install, but they are also easy to maintain. All you have to do is remember to replace your filters on time, every time. Failing to replace your filters can lead to clogging issues, filter breakdowns, and foul tasting water. Besides enjoying filtered water at home, you can store filtered water in a reusable bottle, and take it with you to work, to the gym, or wherever you go, thus reducing the amount of bottled water you buy when you’re out and about. Switching to filtered water for cooking, washing, and bathing is something you should consider if you have sensitive skin, if you’re suffering from psoriasis, eczema, asthma, or other conditions that may be triggered or worsened by the presence of certain contaminants in your tap water. Since tap water is always available, and it’s by many orders of magnitude cheaper than bottled water, switching to filtered tap water makes the most sense both from an economic and environmental standpoint. By choosing a water filter suited to your needs, you can improve the quality of your tap water, reduce drinking water costs, enjoy healthier baths, and reduce your environmental footprint. Filtering water at home has never been easier or cheaper, so ditch bottled water, and start filtering today!